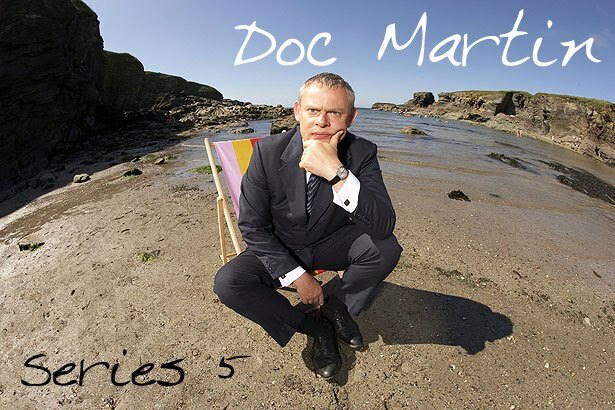 As the new series of the comedy drama continues, sleepless nights are starting to take their toll on Dr Martin Ellingham (Martin Clunes) and Louisa Glasson (Caroline Catz). Tempers are frayed as they try to find ways to comfort their constantly wailing baby. Aunt Ruth (Eileen Atkins) is dealing with an intruder on the farm who has stolen the hub caps from her car. The thief is identified as Michael Dunwich (Andrew Lee Potts), who lives with his mother Shirley (Miriam Margolyes) on a neighbouring farm. Shirley makes an appointment with Martin to discuss the crippling stomach pains she has been suffering, and she tells the doc that she thinks her son is trying to poison her in order to gain possession of her house. New receptionist Morwenna Newcross (Jessica Ransom) fails to make a good impression on Martin by arriving late on her first day. Her grandfather William (Peter Vaughan) has given her some ‘magic pills’ to help her be at her best at work, but they just make Morwenna hyperactive and Martin sacks her, thinking that she is high on drugs. The results of the tests on Shirley show a heavy concentration of arsenic in her system. Martin immediately calls PC Penhale (John Marquez), suspecting that Shirley is indeed being poisoned. But now that there is at last a real crime for Penhale to deal with, he seems less than confident about how to proceed.